Multiple Democratic politicians, including Virginia Senators Tim Kaine and Mark Warner, called for Virginia Governor Ralph Northam’s resignation after a controversial photo from Northam’s medical school yearbook surfaced Friday, Feb. 1, depicting an individual wearing a KKK white hood posing alongside a blackface individual. Within hours of the photo’s appearance, Northam released an apology statement. “I am deeply sorry for the decision I made to appear as I did in this photo and for the hurt that decision caused then and now,” Northam’s statement reads. The photo, taken over three decades ago, is one of four pictures featured on Northam’s yearbook page. Although the other bordering photos clearly show Northam’s face, the controversial photo depicts two individuals in costumes, their identities hidden. On Saturday, Feb. 2, Northam retracted his original statement, saying neither person in the frame was actually him. It is difficult to take Northam at his word, especially since the entire page is dedicated to him. 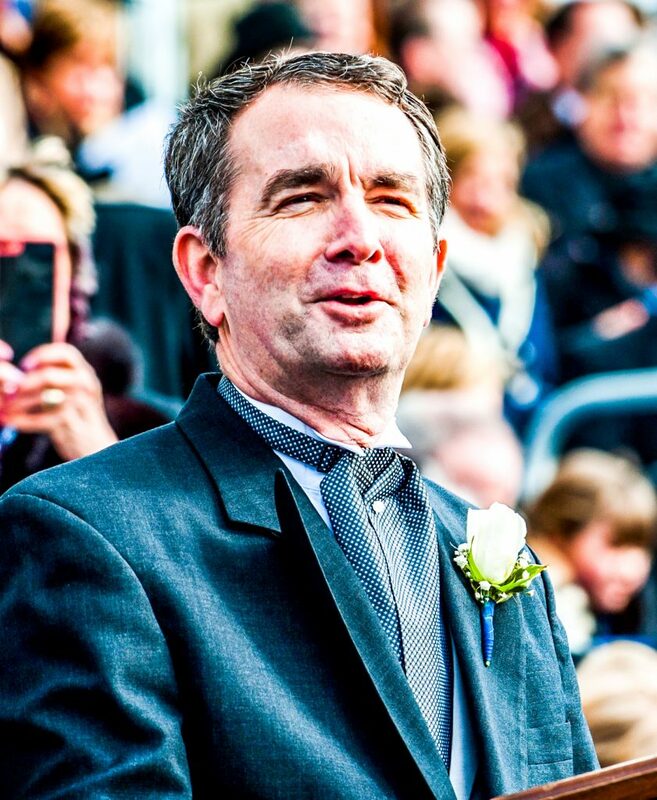 Northam is clearly portrayed in the other photos, so why would the yearbook include a random picture without him in frame? The political climate is incredibly unforgiving for both parties, especially when matters like race and gender are the focus of discussion. Nearly the entire Democratic establishment has called for Northam’s resignation over this yearbook photo. Given the liberal obsession with identity politics, I’m not surprised at the intense backlash Northam received from his own party. Democrats retain a sizeable majority of the African- American voter base, so the establishment Democrats will swiftly shun and criticize anything that suggests white prejudice, even if traced from their own party. Much like President Donald Trump’s inappropriate comments from the 2005 Access Hollywood tape, Northam now finds himself in a similar predicament: an embarrassing past mistake exposed to the public. I’m willing to forgive Northam of this mistake. American culture during the 1980s was drastically different from our current environment. GOVERNOR OF VIRGINIA — Ralph Northam has served as the governor of the commonwealth for only one year. While culture never justifies immorality, it is important to consider for contextualizing past errors. The photo is disheartening, and no one should discriminate even in jest, but actions that we presently condone as “racist” were unfortunately acceptable and common 40 years ago. Whether Northam was in the frame or not, I do not believe he currently endorses racism. He may have held white bias 40 years ago, but time can heal even the dirtiest hearts. If a more recent photo had surfaced, I would hold a completely different stance. But considering the photo’s age, I think forgiveness is suitable. I’m much more concerned with Northam’s current policies than his past faults. Only several days prior to the photo’s appearance, Northam articulated his barbaric stance on abortion, which many conservative lawmakers viewed as Northam favoring termination after birth if decided by the mother. This was all in light of Virginia’s late-term abortion bill that thankfully was tabled in the Virginia House. Anyone who believes in killing the life of an innocent, newborn child is morally bankrupt and has no place in public government. While college students are old enough to be held accountable for their actions, making a mistake 35 years ago is pardonable, but willfully endorsing a barbaric evil like infanticide is much more difficult to stomach. Without a moral foundation, concepts of “good” and “evil” are merely subjective opinions, constantly changing with the nuances of society and culture. Northam, and many of his political colleagues, are products of that faulty worldview. Northam’s political career may be over. Even while he refuses to resign, I cannot imagine the Democratic National Committee forgiving him with outstretched arms. In the meantime, I think Virginians should reevaluate their governor’s credibility, both as a pediatrician and active politician, because his stance on abortion is way too radical, even for a Democrat.